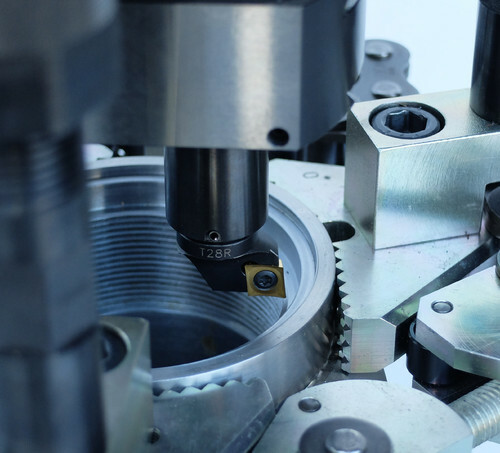 Tapping is the operation that consists of machining a screw thread inside a bore. This operation can be done on all types of flanges and valves. SERCO TU TE machines are specially designed for this application. TU TE machines are automatic and power-driven by brushless motors (Rotation, axial and radial feed).